At the beginning of each player's upkeep, that player puts a flood counter on target non-Island land he or she controls. That land is an Island as long as it has a flood counter on it. 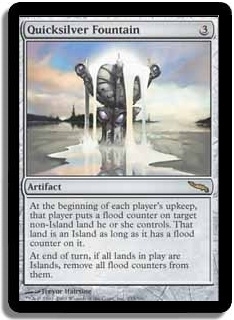 At end of turn, if all lands in play are Islands, remove all flood counters from them.